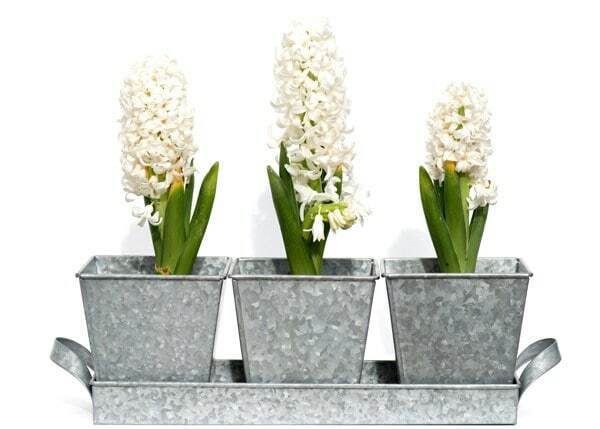 Add character to the kitchen windowsill and keep fresh herbs close to hand with this trio of galvanised pots. 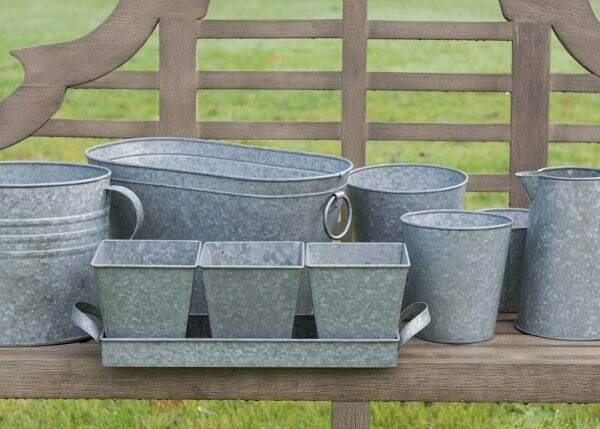 The charming vintage-style pots are made from sturdy gauge steel with an attractive galvanised finish to protect against rust. The pots sit in a handled tray which acts as a reservoir to ensure plants and herbs stay well watered. Each pot has a 12mm hole in the base for drainage.